As the year approaches its halfway mark, it’s a great time to check in on your goals for 2017. Even if New Year’s optimism has given way to discouragement or indifference, there is plenty of time left to work on building a platform for what you want to do next. Setting goals may be simpler than you think; it’s about deciding where you want to head, and identifying the steps that will get you there. The SMART system is an approach that works for people of any age or stage in their career. Starting with where you want to end up—for example, earning a degree or certificate, getting a new job, earning a higher income, or just deciding on a career direction—follow these steps to break your goal down into manageable steps. Attainable – Clear steps that give you enough time to reach them are more successful. Is the goal realistic? What needs to happen first? It should be a challenge, but also achievable. 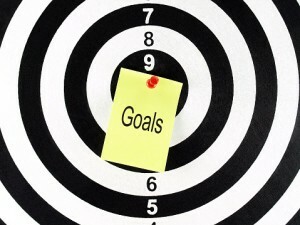 Relevant – Does the goal really matter to you? Will it get you where you want to go? Is this the right time? Setting goals that you don’t really care about, or that don’t fit you, won’t work. Timely – To keep it clear and motivate you to take action, your goal should happen in a defined time period. When do you want to begin? When do you want to complete each step? Write down the steps. Write down your goal and the steps to get there. Post this list where you will see it. Reward yourself. Think of small rewards to give yourself for completing steps toward your goals. It will help you stay motivated! Have a goal partner. Find a friend, co-worker, a job coach, or someone else to check in with. Talk about how it’s going, and do the same for your partner. Check out CareerOneStop.org to help find the information you need for your goals, including education and training programs, jobs in your local area, and resources to help you explore careers.